In the early 1980s, high-strength, self-reinforced, biodegradable polymeric composites were developed for tissue management. They were polymers of organic acids with a molecular weight of up to 1,000,000 D. The properties of these polymers depend on the basic molecules and the degree of polymerization. The degradation depends on the structure and strength of the individual materials. The use of these polymers in temporary bioresorbable prostatic stents in 11 men was reported by Isotalo and associates (30). 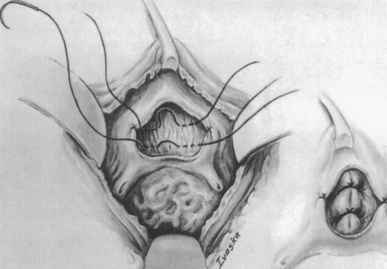 They used a temporary bioresorbable self-reinforced poly-L-lactic acid prostatic urethral stent plus finasteride. The strength of the stent is retained for 35 wk in vitro and the total degradation time is 1 yr. The stent expands 45% to hold itself in place. All patients were able to void spontaneously, and their bladders emptied properly. In this trial, there were three cases of incorrect positioning of the stent and three urinary tract infections. The stents held the prostatic urethra open until finasteride could shrink the prostate. Laaksovirta and associates reported their results in 39 men treated with a self-reinforced lactic and glycolic acid copolymer prostatic spiral stent after interstitial laser coagulation of the prostate (31). This stent expands 100%, locking it into the prostatic urethra. All but one patient voided on postoperative day 1, and when the stent was properly relocated, this patient was also able to void. At 4 mo, the stent was degraded into small pieces. Three patients had asymptomatic urinary tract infections. The authors felt the combination of interstitial laser therapy with a temporary stent was successful.